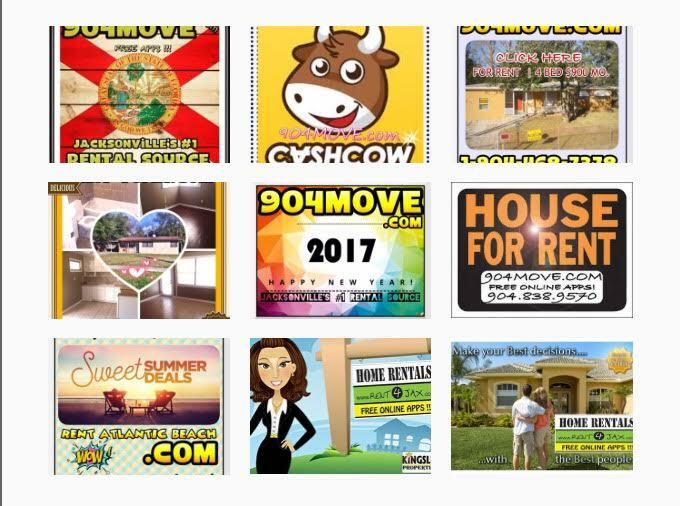 ​904MOVE.COM | WHOLESALE PROPERTIES FOR LESS! We are looking for "SAME DAY" capital to fund the purchase of houses from the Duval County Court House. wealth building strategy, using our experience and knowledge to guide you every step of the way. 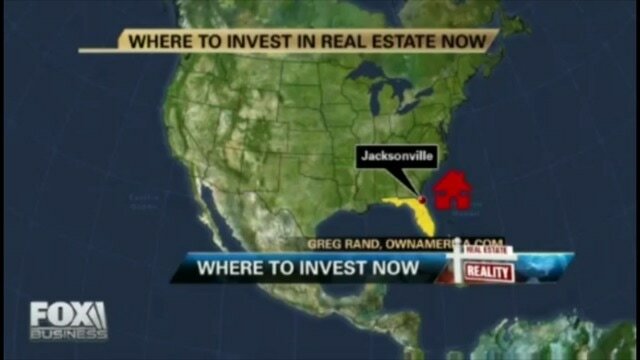 ​ in the past 15 years including multi-family, residential and land deals. 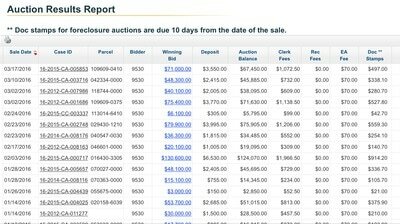 Our focus has been "bread and butter" retail and wholesale flips. More descriptively that means solid homes in steady blue collar neighborhoods. For investors looking to put their money to work without having to get their hands dirty, we offer several "PASSIVE" solutions. Through Private Lending, we offer above market returns secured by real estate purchased at great loan to values. Our first and foremost goal is to protect your principal! We NEVER waiver from that philosophy! 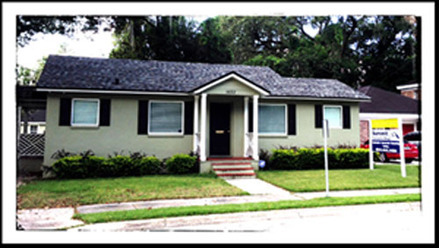 Our "Turn-Key" houses are already completely remodeled and have tenants either in place or in line to be leased. Also, be sure to ask us about investing in cash flowing rental properties with your Self Directed IRA to take advantage of many tax benefits. 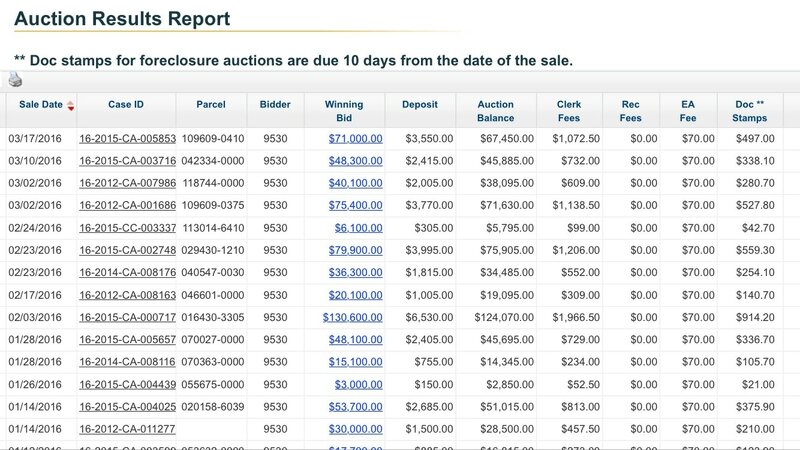 This is done primarily via bidding at the foreclosure auction at the Duval County Clerk of Courts, and our many connections with Realtors that specialize in foreclosure and short sale properties. Our team has been using the same buying strategy since 2000: To date we have bought, sold or flipped more than 200+ homes. We initially bid face to face at the Courthouse, however, with the advances in technology bidding is now online! Between 100-200+ houses are offered for purchase monthly! A. 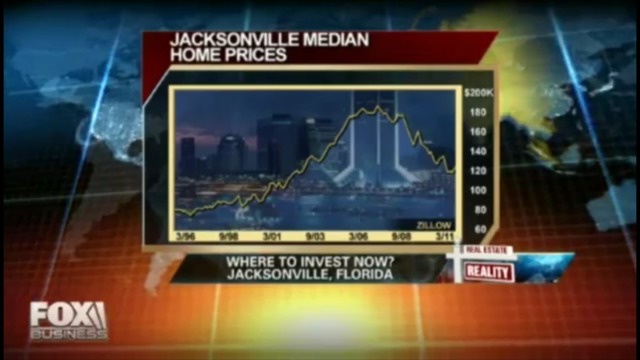 In order to buy just one property we have to physically look at and evaluate many properties. Our number one rule is "if we don't look at it, we don't buy it." There is no substitute for our experience in evaluation and neighborhood knowledge. Our purchasing formula is a combination based on square footage, roof condition, HVAC, exterior deterioration, structure type vs. current market value, and initial title examination of 2nd mortgages, mechanical, government and city liens. B. Based on house condition, location, occupancy status our team then formulates a final "BID AMOUNT." current CMA (current market analysis), house condition, and estimated renovation cost / time. 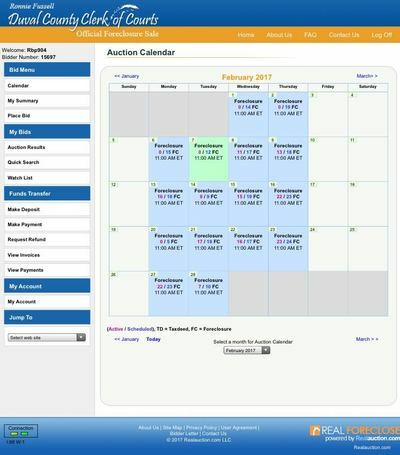 C. Once we are comfortable with our numbers, we place bids in real time / online. D. When we win, we immediately call for an insurable title exam, visit property & make preparations to pay in full by 4PM. 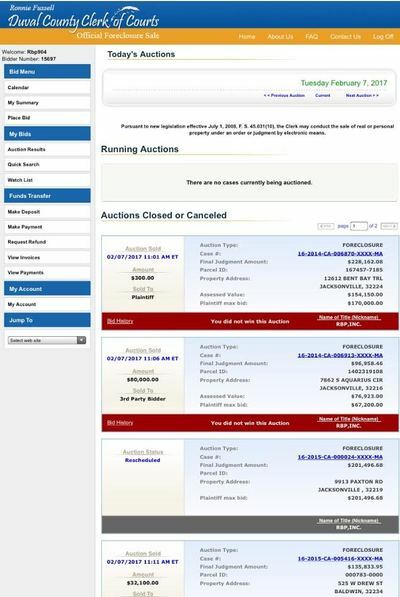 There is an initial non-refundable 5% deposit required to place bids! Failure to pay for the balance of the property in the allotted time results in forfeiture of the 5% deposit. The interest on your money begins immediately! Terms and rates are negotiable based on the amount of time it takes to "flip" the property. Equity partnerships are negotiable. 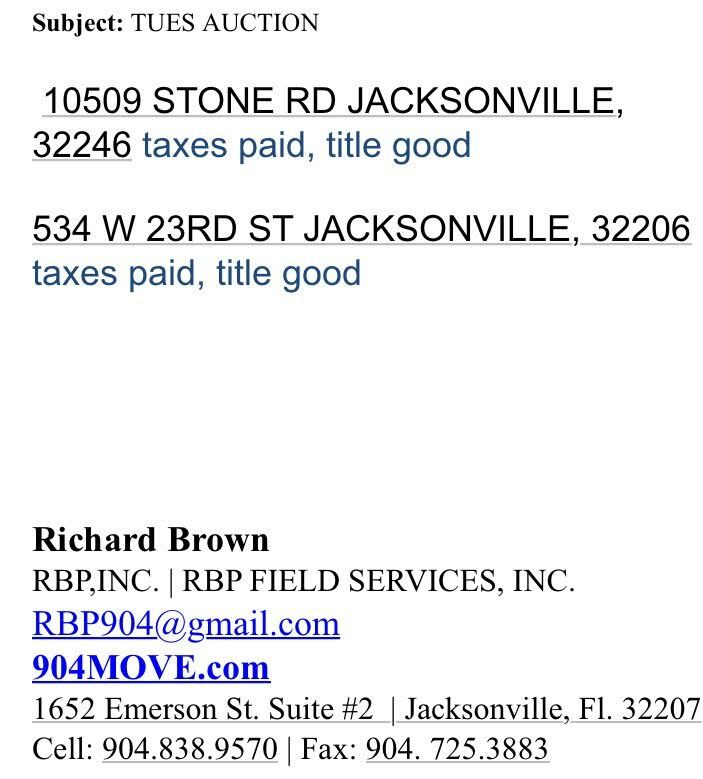 All title work and closings are done locally by Sunshine Title. ​perspective online thru SEO, google adware & every available online social media feed! o BA Communications & Art Minor | Wingate University, NC. o FCCJ / Web Masters Degree. o Florida Mortgage Brokers License. 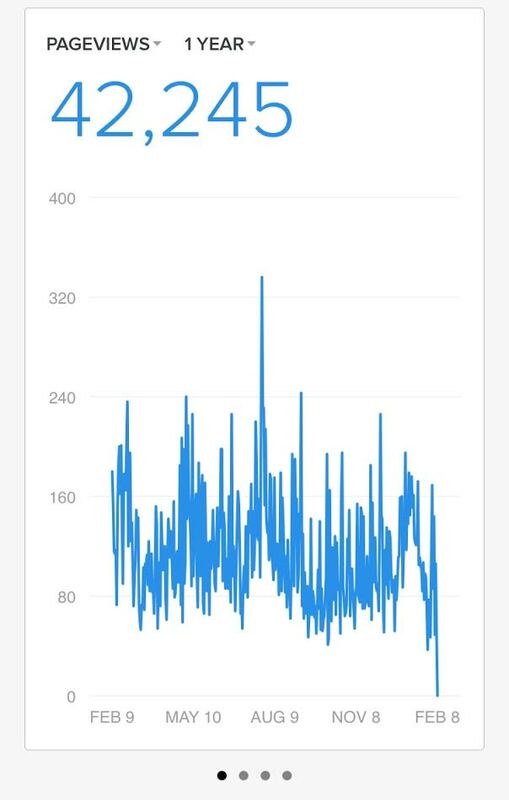 o Real estate experience: 18 Years.